Eintracht Frankfurt have recently hit a rut after a bright start to 2015/16. With a third of the 2015/16 season done and dusted, bundesliga.com is checking in with all 18 clubs to see where they are at after 12 matches. 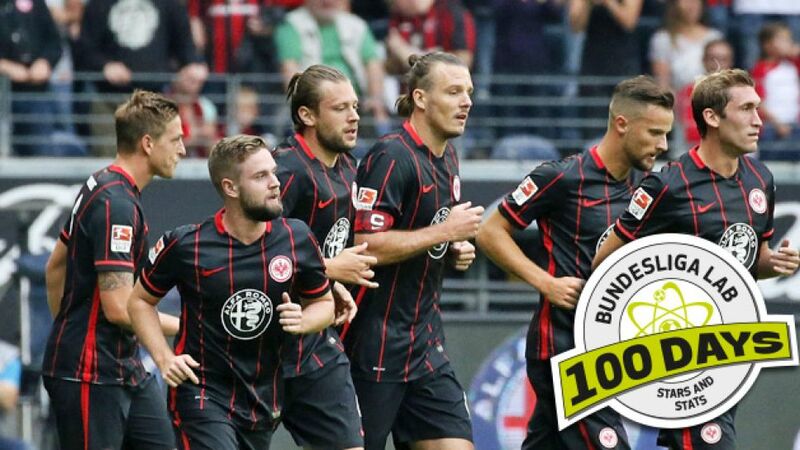 After an good start to the campaign, Eintracht Frankfurt have begun to stutter in recent weeks. Frankfurt's season exploded into life on Matchdays 3 and 4, as they put four past VfB Stuttgart before thrashing 1. FC Köln 6-2 in a memorable encounter. Since then however, their fortunes have taken a turn for the worse. The Eagles have won only one of their last eight games, and that was a nervy 2-1 victory over equally troubled Hannover 96. Defensively, Armin Veh's side have been impressive, not least as they became the first team to take points from FC Bayern München on Matchday 11. Yet such minor successes are largely overshadowed by a lack of wins, a dramatic exit from the DFB Cup, and a certain bluntness going forward. Frankfurt's main weapon has been the counter-attack: only Hoffenheim, with seven, have scored more goals on the break than Eintracht's six.Alexander Meier, the Bundesliga's top scorer last season, is currently Frankfurt's most prolific goalscorer, with five goals to his name.Summer signing Luc Castaignos has made a strong start to his Bundesliga career, scoring four times from 12 shots so far this season. "I'm not proud of my team's performance. But we did play well." Head coach Armin Veh injects a dose of realism after Frankfurt's impressive 0-0 draw with Bayern. Check out how the Bundesliga's 17 other teams have fared so far in 2015/16 right here.